One of my favorite things each year on Siesta Key FL is the sand sculpture competition. It’s coming up, The Crystal Classic Master Sand Sculpting Competition, from November 14-18, 2014. Check the website, here, for the schedule of events for these five days of sand excitement. The event has grown to a spectacular five days. The sculpting should be phenomenal and inspiring for the wannabe sand artist. It is so fun to manipulate the sand into fun little (or big) sand castles on a sunny beach day, but these folks take playing with sand to the extreme. Admission is charged per day and be prepared to spend you cash on lots of other goodies and food while you’re there. Have fun. Please write in if you go and send some photos that I can post. Shell wreaths are great wall decorations that don’t take up too much space so they can fit almost anywhere: office or cubical walls, home spaces, beach homes, RVs and dorm rooms. Everyone loves a vacation and a lot of people love beach vacations. With this wooden photo frame, that beachy friend of yours can hang up his or her fondest memory of that last trip to the beach. 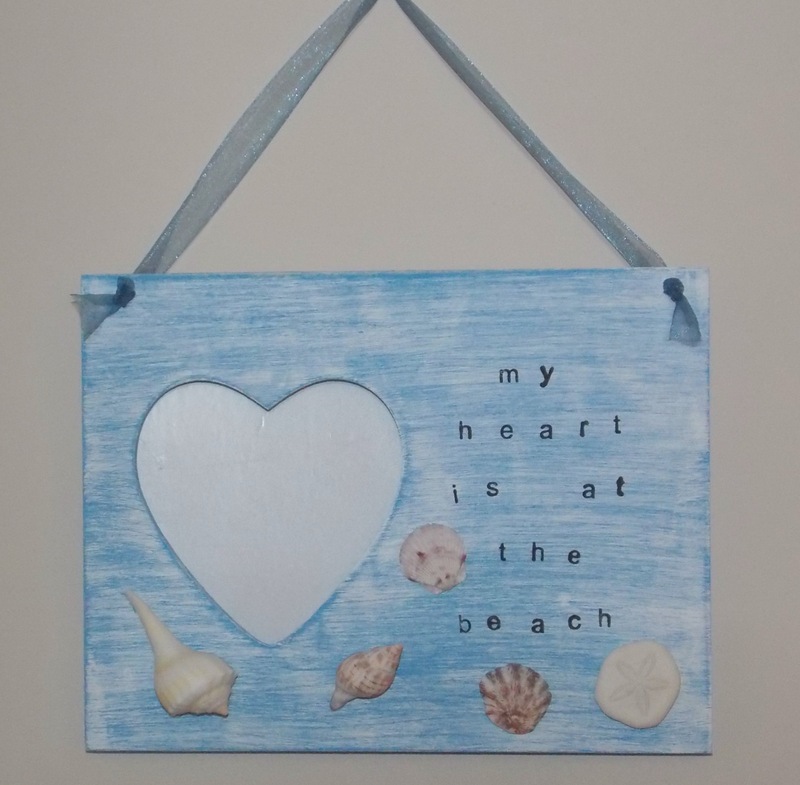 Decorated with real sea shells, this painted frame reads: “my heart is at the beach”. 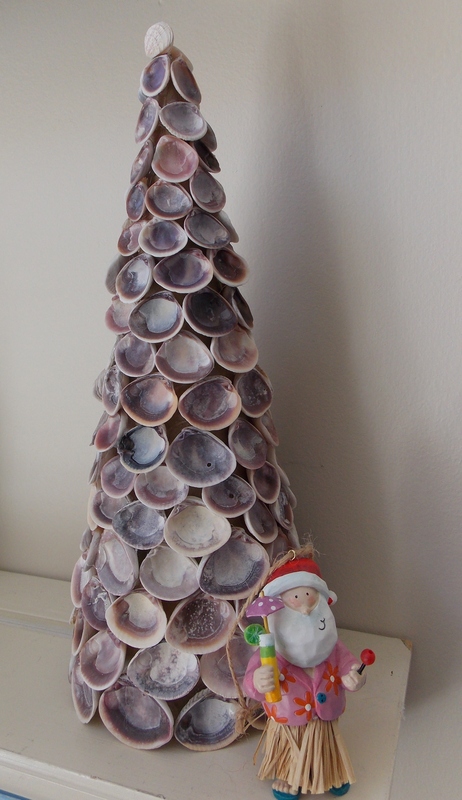 Yes, a shell topiary can add a beachy feel to any space at home. Jazz it up for the holidays with some Christmas bling or set on a pillar-candlestick for some height on a mantle or sideboard. Buy two for a balanced decorating style. Know someone who is constantly losing their keys? Here’s a cute piece of art with key hooks for car keys, boat keys or even a small pet leash. 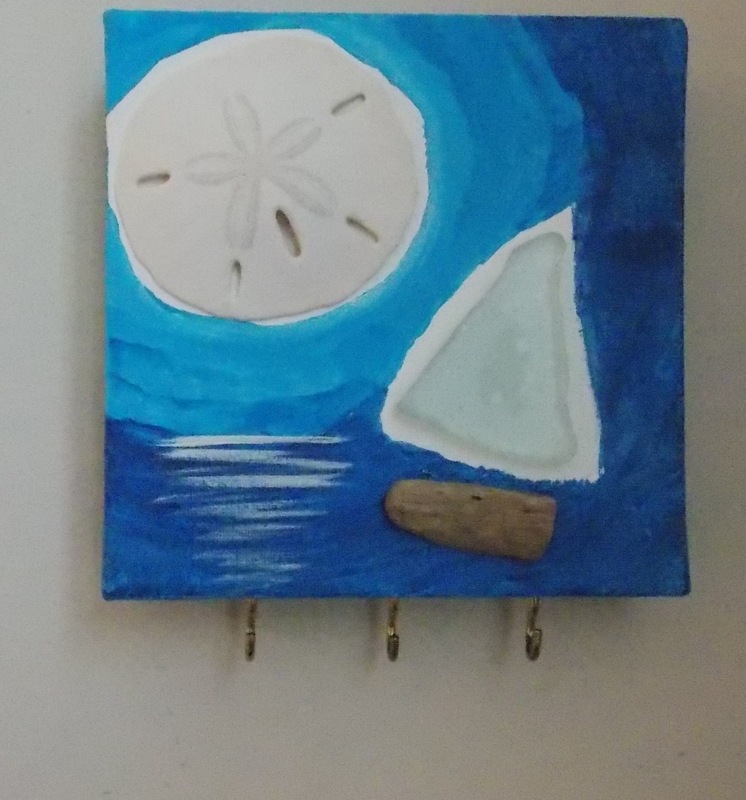 Painted on a small canvas, this art piece includes a sand dollar, sea glass and drift wood. Jewelry made from shells and sea glass are fun to wear. Casual or dressy, that favorite person on your list can off her beach personality with earrings, a necklace or bracelet from the sea. Where is your beach-loving friend or family member from? Where does he or she love to vacation? 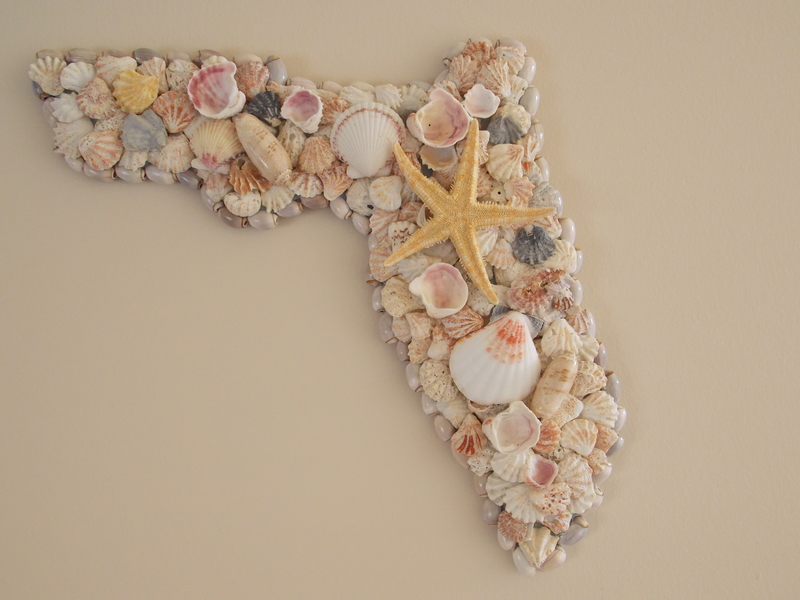 For the beach lover, these state-shaped sea-shell wall art pieces can be a fun decoration to display. Special order your state-shape before Dec 10 for guaranteed Christmas delivery. Note cards are always a great idea for gift giving. Some note cards, like these, are made with real photos that can be framed. Choose from a set of shorebirds, lifeguard stands and more. Art, jewelry, wind chimes or wall hangings; all of these things add up to be great Christmas or Hanukkah gifts for that person on your list who loves the beach. Shop today at Crafty Beachcomber and start checking off your list.